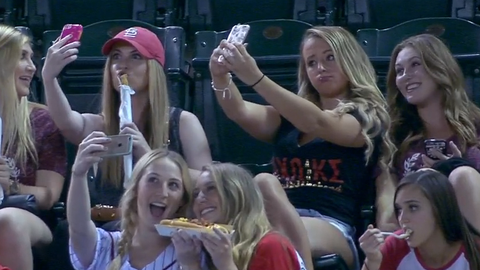 Members of the Alpha Chi Omega sorority at Arizona State attended the Arizona Diamondbacks-Colorado Rockies game at Chase Field Wednesday night, and they definitely got noticed. "That’s the best one of the 300 pictures I’ve taken of myself today!" Bob Brenly quipped in a humorous dialogue with partner Steve Berthiaume in the FOX Sports Arizona broadcast booth.